So you’ve been approved for a visa, and you’re headed over to New Zealand (aka paradise on Earth)! We’ve already talked about finding work, so the next logical step would be finding a [temporary] home! 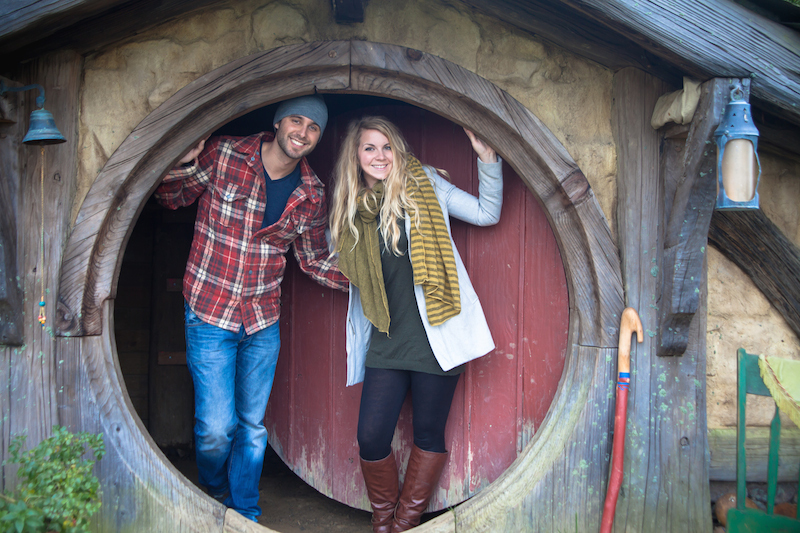 As much as I would love to tell you the opposite, hobbit holes are not readily available to rent in New Zealand. A girl can dream though right? 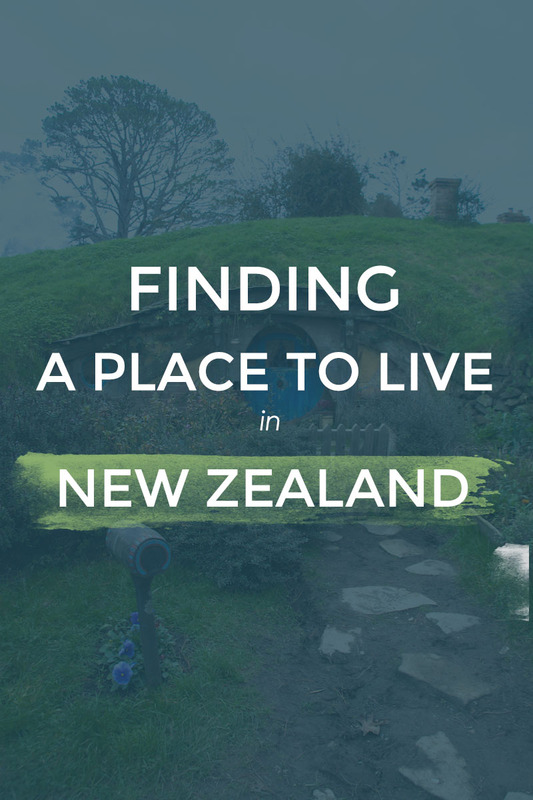 Looking for a place to live outside Hobbiton (am I taking this Middle Earth narrative too far?) can be quite daunting , especially when you don’t know the lay of the land or have no idea about how things are properly orchestrated over here when it comes to housing. Looking back at our ‘housing journey’ I would have loved finding material to read before we began the task of house-hunting. I will only be writing about rentals today as Derik and I have absolutely no knowledge whatsoever when it comes to the home buying process. I just know the interest rates on home loans here are incredibly better than the US, and that is all. The information provided below is what we have learned and experienced while looking and renting from places around the south island (Nelson, Queenstown, Dunedin), but I would imagine the rest of New Zealand would be somewhat similar. I don’t think I would have ever considered using a realty office or property management company to find a suitable living quarters back in the United States, or Korea for that matter. I always thought they would charge way more than what the place was worth living in, and I could find better deals looking privately. 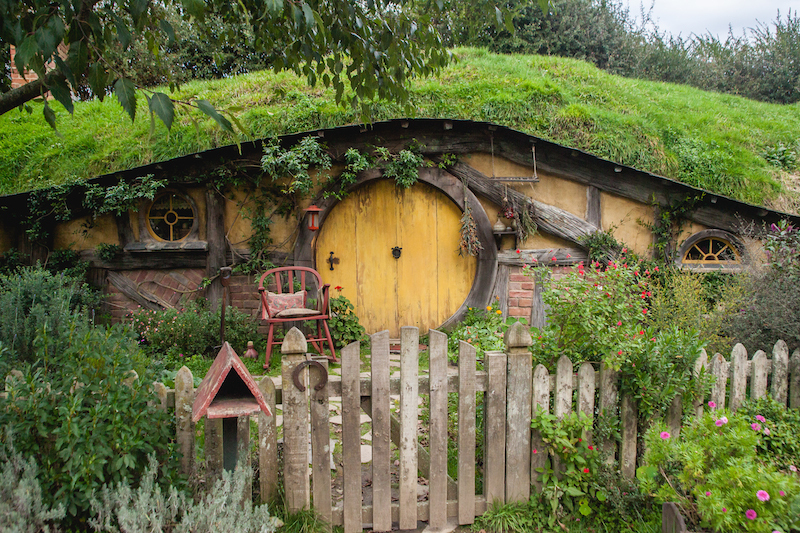 Unfortunately taking the private road isn’t really an option here since it seems property management companies handle 99.1% of all rental properties in New Zealand. After looking around the classifieds in newspapers, online, and in stores, we discovered property management may actually be the most efficient and safest way to go when finding a proper rental home. Not only would the company be ‘in the know’ of places around town that we had no idea were available to rent, but the homes and apartments they manage are routinely checked for safety and upkeep issues. If you are looking for a place to rent, you should definitely contact multiple management companies! They all have different properties, policies, and one may work better for you than another. In New Zealand, rent is collected weekly. I still have yet to decide if I like it better this way or in a lump sum at beginning of the month. I should also mention rent is generally a lot more expensive than what we experienced in the States and Korea, especially when it comes to the quality of a rental you get with the precious money you pay each month. A student flat (housing with multiple people) will cost you anywhere from $100-220+ a week, where as a full blown house to yourself will start at $300-400+ per week. Clearly these prices depend on the area you would like to rent in as well as the size of the rental property. To put it in perspective, when we were looking for housing in Queenstown, we found a studio apartment up on the hill overlooking Lake Wakatipu and The Remarkables -it was a stunning view. The downside? It was $320 a week for a room that I could literally walk across in 10 steps. You also had zero privacy as your entire front wall was a sliding glass door and all the other apartment tenants would be walking past those doors on the way to their own studio. The price did not include internet, gas, or electricity. In Dunedin we could find full houses and private apartments for the price of that tiny studio in Queenstown. This factor alone was one of the many reasons we chose to stay in Dunedin. Our first rental was a basement flat (3 bedrooms, open living room and kitchen), gas and electricity included for $280 per week. This price seemed like a pretty good deal to us at the time, especially for such a big place! Our landlords did not speak English as their first language and were fairly new to western customs. For some reason, even after hiring a property management company, they insisted we kept the company out of any business or concerns we had about the rental unit, and would get offended if we even considered asking them for anything. We were not allowed to put locks on our doors, keep the heat on more than a couple hours if we were cold (in the middle of winter), or turn the lights on during the day. The place came furnished, and when I insisted that I wanted to buy our own sheets an blankets, the lady of the house basically shoved more of her old blankets my way wondering if what I had wasn’t enough. Don’t get me wrong, they were the sweetest couple, but I don’t think they understood the whole separation between a house-guest and a rental tenant thing. It was like we were living in our grandmother’s basement and it would really never be a place to relax and get comfortable in. Thankfully the property management company recognized our plight as well (it was the first time they worked with this couple) and they let us out of the contract without us having to forfeit our bond. Be prepared to pay a hefty bond and letting fee before you sign your rental contract. The bond can be anywhere from 2 months + rent (basically whatever the company and owner set it as), and the letting fee is usually a little over a week’s rent. You will get your bond back at the end of your contract if you didn’t destroy the place, but the letting fee is a nonrefundable service fee to the management company for toting you around and getting things organized so you can to move in. If you’re a Kiwi reader, you may find these statements below to be bizarre, but as someone coming from the US, they are weird to me, and definitely NOT something I would typically find home! There is no such thing as customer service- Basically it’s a take it or leave it attitude, property managers tend not to go out of their way to get you to rent the place. We looked at over a dozen properties, and not a single agent seemed excited to be there with us checking out future places for us to live in. Once you do find a place to stay, it may take months for you to receive a smoke alarm or light socket change…as you are definitely not first priority. Forget asking about if things can be changed (i.e. paint color, carpets, furniture, fixtures) before you move in, it’s kind of a ‘this is how it’s going to be and either you like it or you don’t’ mentality. Rental flats are not always professionally cleaned before you move in. We were used to this living in Korea, but it’s still somewhat disappointing moving into a ‘new’ place with carpets that DEFINITELY should be shampooed, couches with stains, and windows that haven’t been cleaned in 20 years. In our first rental flat I spent an entire week dusting the walls and cleaning the windows because there was such a buildup of filth from years of it not being inhabited. Management companies only require properties to be presentably clean for the next tenant: bathroom scrubbed, carpets vacuumed, fridge clean, etc. It may take weeks to set up your utilities. This might just be an outside the US thing , because my sister is also going through this with their new place in Germany. Derik and I moved into our current rental last September and it was late December before we received our first electric bill. After not receiving it the first month, I made a point to call them every few weeks to let them know I was ready and waiting to hand over my money so the bill wasn’t crazy expensive. However, every time I called they always told me they would “figure out what was going on shortly,” but yet it still took almost four months to get it. It took the internet guy a month (after securing the apartment two weeks before we arrived and then waiting an additional two weeks after that) to drop by just to bring me a modem that I was required to install and connect myself! HA!!! Normally I wouldn’t have been so worked up over waiting, but since my full-time job is online, it was kind of important to have it. Apparently for our provider, getting internet set up promptly meant a one month wait. If your house was built before the 2000s, odds are it will not have insulation. This may not sound like the worst thing in the world, but when you’re sitting on your couch in the middle of winter and your hair is blowing in the ‘breeze’ that is somehow flowing through your closed windows, you may think again. Your house will also most likely be the SAME temperature as outside if you don’t keep your little box-heater constantly on. I guess the only thing I have to say to this is: wool thermals, hot tea, and electric blankets. If anything, it’s character building! Renting a property outside the United States is always a challenge and a learning process. You’ll have a great, frustrating, awful, rewarding, and/or exciting experience each time you rent, but I believe every single time you do, valuable lessons can be learned taken with you the next time you’re in the housing market (whether in the States or not)! Are you considering moving to New Zealand? If you have any questions, be sure to leave them in the comments below or send me a quick email!